With a €255,000 guaranteed prize pool, the PokerNews Cup is one of the hottest poker festival of the season. Check out the full programme and learn how to win a seat to the Main Event in one of the many satellites running daily at King's Casino! CasinoSmash is at Europe's largest poker room to fight for the 2017 PokerNews Cup Main Event title. Here's everything you need to know about the event. Amateurs dreaming to become pros, breath-taking bad beats, and shameless fish are about to get back at Europe’s largest poker room as the twelfth edition of the warms up the engines at the King’s Casino in Rozvadov, Czech Republic. Running from August 16 - 21, the poker festival organized by our sister site PokerNews.com features a guaranteed prize pool of €255,000 spread across eight different events including, for the first time in the Cup’s recent history, a live open-face Chinese poker tournament sponsored by TonyBet. Right on the heals of the uber-successful partypoker live - German Poker Championship that have seen Russia’s heroes Arsenii Karmatckii and Anatoly Filatov triumph in the Main Event and High Roller respectively, the new edition of the PokerNews Cup is set to be once again one of the hottest festivals for recreational players and amateurs thanks to a formula that combines low buy-ins, an international field, and King’s usual impeccable professionalism. "This is a great event for a location like the King’s," 2015 Opening Event champ, Germany’s Timothy Weltner told CasinoSmash. "The King’s Casino attracts a crowd of players that like to have fun and to play for affordable buy-ins. The PokerNews Cup is exactly what these players want." The cards will be up in the air already today, with the PokerNews Cup Opening NLH event kicking off at 8pm local time with a juicy €8,000 GTD. prize pool up for grabs for a buy-in as low as €80. Things will get more serious on Thursday, when the poker room will host the first of the four starting flights of the €250 Main Event featuring a staggering €200,000 guarantee. Other marquee events in the schedule include the 15,000€ GTD. 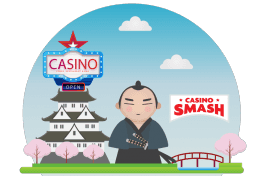 King's Friday Adventure Challenge on Friday, the 5,000€	PokerNews Pot Limit Omaha and the €20,000 King's Local Championship on Saturday, and the 5.000€	TonyBet OFC Progressive Pineapple on Sunday. Should you not make it to be at the King’s Casino this week, you will be able to follow all the different events , as Christian Zetzsche, William Shillibier, and George Steiner from the PokerNews Live Reporting Team will be on the floor to report on the action. 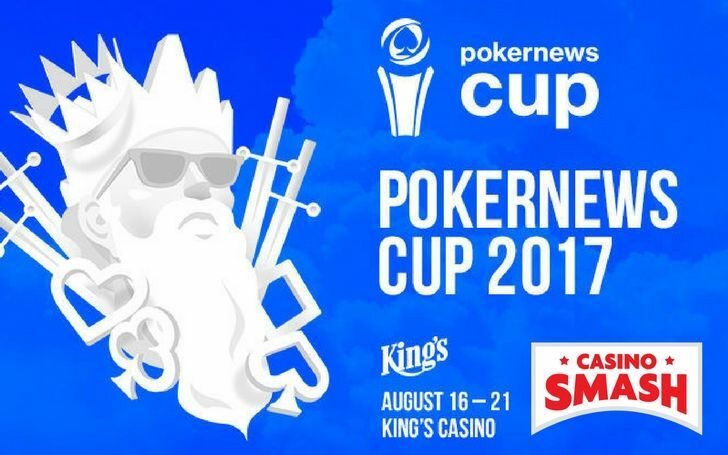 Besides the events in the schedule, the PokerNews Cup is also a great opportunity to explore the all-new casino and poker area inaugurated earlier this month and to enjoy the King’s famous cash game action that Unibet Poker pro Quentin Lecomte once called ""
CasinoSmash to Join the Battle on Thursday! While the official live coverage of the festival is left in the hands of PokerNews' world-class live reporting team, you can follow the event also on CasinoSmash, as our editor Sarah Hamid will join the Main Event on Thursday. "I'm truly excited to compete with some great players in my very first PokerNews Cup," Hamid said. "I’ve been preparing for the next few days over the last couple of months, hopefully I can turn those hours of study and practice into some cash!" At her debut in Rozvadov, Hamid was spotted yesterday trying to put some of our tips to win at slots to a test. "I’ve been pleasantly surprised by King’s Casino and the small town charm of Rozvadov," Hamid continued. "The new wing is beautifully designed and filled with some great high stakes tables. It’s tough to stay focused on the tournament with all the entertainment and bustle, but being used to lavish casino lobbies I am up for the challenge."